Historically, funds holding investment-grade bonds have been considered a safe investment. Lending money to hundreds of well-known companies had little chance of major default and provided interest income. Has your broker mentioned new risks emerging? Bonds ratings fall into two major groups, investment grade and high yield (called junk bonds). The bond rating generally determines the interest rate borrowers have to pay. For decades retirees relied heavily on Certificates of Deposit (CDs) and top-rated government bonds. Around 6% interest was the norm. Corporate bonds paid higher interest to compensate for the higher risk. With the 2008 bank bailouts, the game changed as interest rates dropped to historic lows. Retirees have bills to pay. Pension funds have to meet income projections. Insurance companies need solid returns to cover their annuities. They all looked elsewhere, desperately seeking good, safe returns. Trillions of dollars moved to the corporate bond market. Fidelity provides a chart explaining agency bond ratings. Today the yield of a 5-year BBB bond (the lowest investment grade rating) is just over 4%, 33% lower than an FDIC insured CD before the bank bailouts. Despite low yields and higher risk, banks, pension funds, and investors looked for the best companies in the bottom of the investment grade barrel. “…. When the Federal Reserve…rewards companies for borrowing money by making it historically inexpensive…that that’s exactly what they did. …. Debt issuance exploded. In the last decade, the amount of corporate bonds outstanding nearly doubled to $9 trillion, from $5.5 trillion. Much of that surge has come in the form of bonds rated BBB, near the riskier end of the investment-grade spectrum – meaning that the money borrowed remains at some danger, albeit low, of not being paid back. While demand for investment grade bonds rose, interest rates did not because the supply of bonds nearly doubled. With triple the number of BBB rated bonds, what risks are involved? Default Risk – Unlike a federal government bond or an FDIC insured CD, there is always a possibility of default with corporate debt. Many mighty companies like GM, Eastman Kodak, Chrysler, and Johns-Manville have gone bankrupt. Bondholders received some, but not all of their money back. If you own one bond, and it defaults, you can lose a lot of money. Bond funds tout safety through diversification. With 1744 bonds, a few defaults will not materially alter the safety or yield of the fund. 50% Discount Our friend Tim Plaehn at The Dividend Hunter has set up a unique Monthly Dividend Paycheck Calendar system that can provide you with an average of $4,000 a month in extra income based on a model portfolio of $500,000. For a limited time, he’s offering us a 50% discounton the first year of a subscription: just $49. CLICK HERE for more information. Interest rate risk – The resale value of an individual bond, or bond funds, varies based on current interest rates. If interest rates rise to 4%, the resale value of a 3% bond will drop, adjusting for what the buyer could earn in the current market. If interest rates drop, theoretically your resale value should increase. Our article, Failing To Check A Simple Box Can Destroy Your Retirement Dreams explains the difference between callable and non-callable bonds and CD’s. The callable feature is similar to a home mortgage. When interest rates dropped, many homeowners remortgaged at lower rates saving thousands in interest. If a bond is callable, the lender has an incentive to pay off the debt and re-borrow at a lower rate. My wife and I had 70% of our investments in CD’s when the Fed dropped rates. Overnight, over 95% were called in. While we had lots of cash, our 6% CD’s were gone. We could not replace the lost income as current rates were much lower. Bond traders speculate on interest rates – not a recommended practice with retirement funds. Retirement investors should buy bonds for income and plan on holding them to maturity. If interest rates rise, the resale value drops. You still earn interest, and (barring default) will receive your money back at maturity. Worried about rising interest rates? Use shorter-term bonds. I searched my broker’s website for new issue bonds and CDs that are non-callable. There was ONE 7-year bond available, and no CDs. Borrowers want the callable option and have no problem finding lenders. Bond funds assume interest rate risk if rates rise. The Vanguard Fund averages 7.3 years to maturity. The fund share price would likely drop and could take a long time to recover. If rates decline, how many of the 1744 bonds are non-callable? It’s a one-way street. If interest rates don’t drop, expect the stated return. If interest rates drop significantly, how many bonds will be called in? When the fund reinvests the cash, how much lower yield will the fund provide? The interest rate differential between a 7-year FDIC insured CD and the Vanguard bond fund (with 54.7% invested in the bottom of the barrel investment grade bonds) is around 1%. The interest rate differential is worth the risk to a fund manager investing $22.8 billion of “other people’s money”. While “so far, so good” is true, is the risk probability changing? Over half of the investment grade bond market ($2.5 trillion) is rated BBB – the bottom of the investment grade barrel – what could possibly go wrong? “They were once models of financial strength-corporate giants like AT&T Inc., Bayer AG and British American Tobacco Plc. …. Bloomberg News delved into 50 of the biggest corporate acquisitions over the last five years, and found…. By one key measure, more than half of the acquiring companies pushed their leverage to levels typical of junk-rated peers. But those companies, which have almost $1 trillion of debt, have been allowed to maintain investment-grade ratings by Moody’s Investors Service and S&P Global Ratings. Pardon me!!!! They are not rated as junk bonds because of “lofty promises” made to investors and rating agencies? I smell a bull nearby…. Big companies like GE, Kraft-Heinz, AT&T, Verizon, and Anheuser-Busch In Bev are struggling to pay off huge debts. When the first domino falls, expect a rush to the exit. The biggest risk to bond funds isn’t default, but rather downgrades by the rating agencies. What happens when pension and mutual funds are forced to jettison downgraded debt – all at the same time? How low will bond prices drop to attract trillions into the junk bond market. Will we have a liquidity crisis because there are no buyers? Will brokers encourage clients to remain invested, earning their fund fees? Will investors be able to redeem their money from the funds? Bond funds have historically been safe investments. If you own bond funds holding the lower end of the investment grade, is the interest rate differential worth the risk in today’s market? How important is preserving your capital? My wife and I are laddering short-term, non-callable CDs. It won’t take many bond downgrades before some solid income opportunities appear. 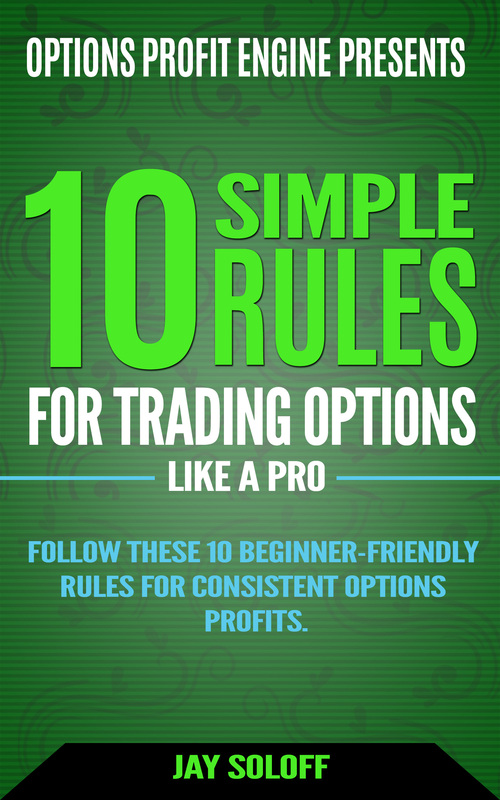 Most financial education is written by those promoting their financial products or services. Don't be fooled! "Set it and forget it" is a trap. Retirement planning is not an event; it's an ongoing process. 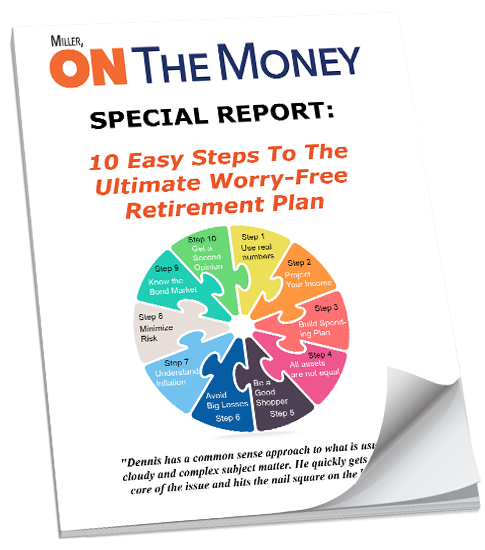 Request your free copy of the latest planner from retirement expert Dennis Miller. Click here.